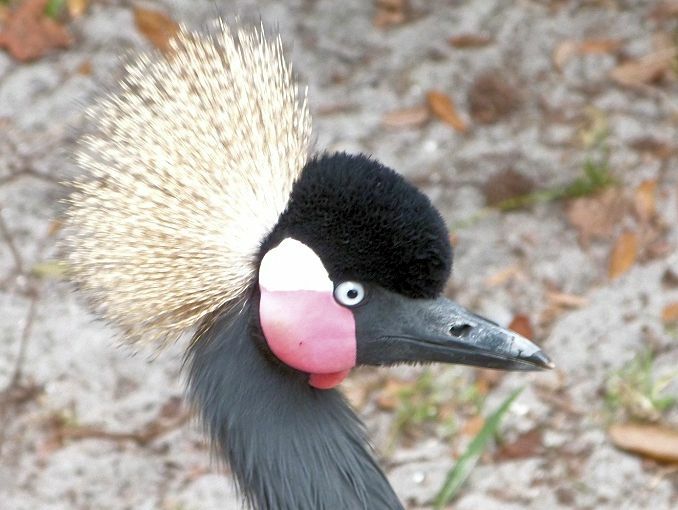 This entry was posted in Birds, Birds of the World, Birdwatching, Christian and tagged Black Crowned Crane, Brevard Zoo, Christianity, Creation, Give Thanks, Inspiration, Nature, Photography, Psalms 106, Thankfulness. Bookmark the permalink. Reminds me of Uganda’s official bird, the Crested Crane (Balearica regulorum gibbericeps), a/k/a the East African Crowned Crane — see “Flag that Bird! (Part 5)” at https://leesbird.com/2015/08/25/flag-that-bird-part-5/ .